RSU 5 High School Student Art Exhibit, multi-media works by more than 70 students on display during April, Freeport Community Library. Sponsored and juried by the Freeport Woman’s Club. Free tax preparation assistance, conducted by AARP, Wednesday mornings, Freeport Community Center. Assistance is for low- to moderate-income households, with special attention to those 60 years and older. For appointment, call 865-4743, ext. 100. Freeport Rotary, meets every Wednesday, 7 a.m., Harraseeket Inn, 162 Main St., Freeport. Feel free to stop by and see what the group is about, or call Jeffrie Wetherhold, 272-2635, for more information. Alcoholics Anonymous, Wednesdays, noon and 7:30 p.m.; AlAnon, Wednesdays, 7:30 p.m.; Business Debtors Anonymous, Wednesdays, 4:30 p.m., First Parish Church Congregational, 40 Main St., Freeport. Parkinson’s disease support group, for people just diagnosed, caregivers and people who have been living with the diagnosis, every Wednesday, 10 a.m., YMCA of Southern Maine, Casco Bay Branch, Freeport. For more information, call 865-9600. Adult coloring group, Wednesdays, 10:30 a.m., Freeport Community Library. Dedicated space provided every Wednesday for anyone 18 and older to drop-in and color for an hour or so. Library will detailed coloring book pages, colored pencils, large assortment of crayons. Pownal Planning Board ordinance review workshop, Wednesday, April 6, 8 a.m., Mallett Hall. Freeport Planning Board, Wednesday, April 6, 6 p.m., Town Council Chambers. YMCA of Southern Maine Adaptive Services Auction, Thursday, April 7, 6-9 p.m., Hilton Garden Inn, Freeport. All proceeds go toward providing one-on-one support and helping participants move beyond illnesses, injuries and disabilities through the Adaptive Services and Livestrong at YMCA programs. For more information, contact Robin Bosse, rbosse@ymcaofsouthernmaine.org, or 865-9600. Morse Street School Kindergarten Concert, Thursday, April 7, 6:30 p.m., school gym. Grief support group, for those grieving the death of a loved due to overdose or substance abuse, meets the first and third Thursday of the month, 3:30-5 p.m., CHANS Hospice, 45 Baribeau Drive, Brunswick. For more information, call 721-1357. Food Addicts Anonymous, Thursdays, 9 a.m., First Parish Church Congregational, 40 Main St., Freeport. Farmer for the Morning program, Thursdays, 9-10 a.m., through May 19, Wolfe’s Neck Farm, 184 Burnett Road, Freeport. For families with toddlers or preschoolers. $5, registration is not necessary. Program will not run on holidays or in inclement weather. For more information, see www.wolfesneckfarm.org. Book sale, through Thursday, April 7, Freeport Community Library, during regular hours. 1940 national canoe race on Maine’s rapid river, film screening with Zip Kellogg, Friday, April 8, 7 p.m., L.L. Bean camping department atrium. Space is limited. Reserve spot at www.llbean.com/adventure. Freeport Lioness-Lions Club Variety Show, Saturday, April 9, 7 p.m., Freeport Performing Arts Center. $10 adults, $3 for children under 12. Yarmouth Wellness Fair, Saturday, April 9, 10 a.m.-3 p.m., Rowe School. Co-hosted by the Yarmouth Chamber of Commerce and Yarmouth Community Services. For more information, see www.yarmouthmaine.org/event/wellnessfair. Signs of Spring, Saturday, April 9, 2 p.m., weather permitting, Wolfe’s Neck Woods State Park, Freeport. Look for signs of spring including newly arrived birds, fragrant trailing Arbutus and other wildflowers. Meet at circle of benches by second parking lot. Free with park admission. For more information, call 865-4465 or www.maine.gov/wolfesneckwoods. Debtors Anonymous, Saturdays, 9 a.m., First Parish Church Congregational, 40 Main St., Freeport. Stroll With the Ranger, Sunday, April 10, 2 p.m., weather permitting, Wolfe’s Neck Woods State Park, Freeport. Celebrate National Trails Day at Wolfe’s Neck Woods State Park. Meet at circle of benches by second parking lot. Free with park admission. For more information, call 865-4465 or www.maine.gov/wolfesneckwoods. Mind Body Spirit Festival, Sunday, April 10, 10 a.m.-4 p.m., Hilton Garden Inn, Freeport. Holistic healing therapies, natural and organic skin care products,crystals, gems, jewelry, psychics, animal communicator, medical intuitive, workshops, more. $5 admission includes some workshops; other workshops require paid tickets. Portion of proceeds benefit Good Shepherd Food bank. For more information, see www.mindbodyspiritfestival.org. Pastor Nelson Ida, talks on the Kakamega Orphans Care Centre in Kenya, Sunday, April 10, 1 p.m., Durham Friends Meeting House, 534 Quaker Meeting House Road. Sponsored by Friends of Kakamega. For more information, see www.friendsofkakamega.org. South Freeport Congregational Church, UCC, worship each Sunday at 9:30 a.m., 98 South Freeport Road, South Freeport. Sunday school for kids pre-K through eighth grade provided during the service as is nursery care. Coffee and refreshments after the service. First Parish Church Congregational, 40 Main St., Freeport, Sunday schedule: worship at 10 a.m., followed by coffee hour. All welcome. North Pownal United Methodist Church, 851 Lawrence Road, worship service Sunday, 9 a.m., led by the Rev. Ray St. Pierre. Sunday School for children and adults 10:30 a.m. For more information, see www.northpownalumc.org. Winslow Park Commission, Monday, April 11, 6:30 p.m., Freeport Town Hall. Freeport Town Council, Tuesday, April 12, 6:30 p.m., Town Council Chambers. Freeport Conservation Commission, Tuesday, April 12, 6:30 p.m., Freeport Community Center. Story times, Freeport Community Library, 10 Library Drive, Tuesdays, Babies & Toddlers, 10-10:30 a.m.; Pre-schoolers, 10:30-11 a.m. For more information, call 865-3307 or see www.freeportlibrary.com. Cribbage, Tuesdays, 9 a.m.-noon, Eureka Community Center, corner of Route 9 and Route 136, Durham. For more information call the Town Office, 353-2561. “You Can Have Your Book and Eat It Too!” Edible Books Festival, Wednesday, April 13, 6 p.m., Freeport Community Library. Sign up to enter at FCLbooks2eat@yahoo.com. Bring edible book entry to the library 10 a.m. and 5:45 p.m. Participants cast their vote for best entry in the five categories: Funniest, Most Creative, Most Bookish, Best in Show. RSU 5 Board of Directors, Wednesday, April 13, 6 p.m., Pownal Elementary School. Freeport Project Review Board, Wednesday, April 13, 6 p.m., Town Council Chambers. Freeport Coastal Waters Commission, Wednesday, April 13, 6 p.m., Freeport Community Center. Lego Club, for ages 5-12, 3:30-4:30 p.m. Freeport Community Library. Club meets first Wednesday of every month through June. Due to book sale, club will meet Thursday, April 14. Joshua L. Chamberlain Civil War Round Table Lecture, Thursday, April 14, 7 p.m., Curtis Memorial Library Morrell Room, 23 Pleasant St., Brunswick. Pat Falci speaks on, “Lee’s Forgotten General: A. P. Hill at the Battle of Gettysburg.” Lectures free and open to the public. How to track and dispose of drugs properly, program for seniors presented Casco Bay CAN (Create Awareness Now) and law enforcement representatives, Thursday, April 14, 11 a.m., Freeport Community Center, 53 Depot St. Bring any expired or unwanted drugs for law enforcement to dispose. Pastor Nelson Ida, talks on the Kakamega Orphans Care Centre in Kenya, Thursday, April 14, 7 p.m., Freeport Community Library. Reception starts at 6:30 p.m. Sponsored by Friends of Kakamega. For more information, see www.friendsofkakamega.org. “Living for 32,” documentary about Colin Goddard, survivor of the 2007 Virginia Tech shooting, Friday, April 15, 7 p.m., Merrill Memorial Library, 215 Main St., Yarmouth. Hosted by Maine Moms Demand Action. Lynn Hannings, musician and bow maker, speaks to Freeport Woman’s Club, Friday, April 15, 1:45 p.m., Freeport Community Library. Club business meeting at 1 p.m. New members welcome. Contact Betty Duckworth, 847-0240, or elizhard32@aol.com. Casco Bay Walk, Saturday, April 16, 2 p.m., weather permitting, Wolfe’s Neck Woods State Park, Freeport. Enjoy views of rocky shores, nesting osprey and islands on this one-mile walk along the Casco Bay Trail. Meet at circle of benches by second parking lot. Free with park admission. For more information, call 865-4465 or www.maine.gov/wolfesneckwoods. Steamer Dig, Sunday, April 17, 2 p.m., weather permitting, Wolfe’s Neck Woods State Park, Freeport. Learn about the soft-shell clam. Then try your hand at digging this delicacy of the deep mud with an experienced guide. Bring mud sneakers or high boots, rubber gloves, bucket, and clam hoe or spading fork. Registration required. Contact the park, 865-4465. Grief support group, hosted by Life Choice Hospice, third Sunday of every month, April 17, noon-1 p.m., Sedgewood Commons, 22 Northbrook Drive, Falmouth. No registration required and drop-ins welcome. For more information, call 761-6967. Pownal Board of Selectmen, Monday, April 18, 7 p.m., Mallett Hall. Parkinson’s Support Group, third Wednesday of the month, April 20, 1-2:30 p.m., Bay Square at Yarmouth, 27 Forest Falls Drive (opposite the post office). Ongoing monthly support group meeting for people living with Parkinson’s disease. Walk-ins welcome. “Grow Your Own Organic Garden,” MOGFA workshop, Wednesday, April 20, 6-9 p.m., Freeport Community Library. Instructor Dave Colson operates New Leaf Farm in Durham. $5 fee collected at class. Pre-registration required. Call 865-3307. Plant a Seed, craft project for kids in celebration of Earth Day, Wednesday, April 20, 3:30-4:30 p.m., Freeport Community Library. “The Good Dinosaur,” screens Thursday, April 21, 11 a.m., Freeport Community Library. Rated PG. “The Intern,” starring Robert De Niro and Anne Hathaway, screens Thursday, April 21, 1 p.m., Freeport Community Library. Rated PG-13. “Earth Day: Progress to be Proud of,” presentation by Dan Zukowski, Friday, April 22, 7 p.m., L.L. Bean camping department atrium. Space is limited. Reserve spot at www.llbean.com/adventure. Tiny Pioneers, Saturday, April 23, 2 p.m., weather permitting, Wolfe’s Neck Woods State Park, Freeport. Get up close to the wild and wooly world of mosses and lichens. Meet at circle of benches by second parking lot. Free with park admission. For more information, call 865-4465 or www.maine.gov/wolfesneckwoods. Welcome Tour, Sunday, April 24, 2 p.m., weather permitting, Wolfe’s Neck Woods State Park, Freeport. Get to know the plants abd creatures that live in the park’s forest and on its shores on this eye-opening tour. Meet at circle of benches by second parking lot. Free with park admission. For more information, call 865-4465 or www.maine.gov/wolfesneckwoods. RSU 5 Board of Directors, Wednesday, April 27, 6 p.m., Durham Community School. Pownal Planning Board ordinance review workshop, Wednesday, April 27, 8 a.m., Mallett Hall. How to track and dispose of drugs properly, program presented Casco Bay CAN (Create Awareness Now) and law enforcement representatives, Thursday, April 28, noon, First Parish Church, 461 Elmwood Road, Pownal. Bring any expired or unwanted drugs for law enforcement to dispose. Feathers over Freeport, Saturday, April 30, 8 a.m.-4 p.m., Wolfe’s Neck Woods State Park, Freeport, and Sunday, May 1, 8 a.m-4 p.m., Bradbury Mountain State Park, Pownal. Special birding opportunities featuring top Maine experts, plus hikes, workshops and other activities for people of all abilities and interests. Avian highlights include the hawk watch at the top of Bradbury Mountain, the osprey nest at Wolfe’s Neck Woods State Park, and the live birds of prey sessions by Wind Over Wings. Sponsored by Bureau of Parks and Lands and Freeport Wild Bird Supply. For schedule, see www.maine.gov/feathersoverfreeport. Pownal Board of Selectmen, Monday, May 2, 7 p.m., Mallett Hall. RSU 5 Board of Directors, Wednesday, May 11, 6 p.m., Freeport High School. Pownal Board of Selectmen, Monday, May 16, 7 p.m., Mallett Hall. “He Named Me Malala,” documentary about Pakistani female activist and Nobel Peace Prize laureate Malala Yousafzai, screens Thursday, May 19, 1 p.m., Freeport Community Library. Raged PG-13. Cul de Sax, saxophone quartet benefit concert, Saturday, May 21, 7:30 p.m., Unitarian Universalist Church of Brunswick, 1 Middle St. Tickets $10, available in the church office, Gulf of Maine Books, or online at http://culdesax.brownpapertickets.com. Concert raises money for the church and local nonprofits. First Parish Market, featuring artists, crafters and other vendors, Saturdays, July 9, Aug. 13, Sept. 10 and Oct. 8, 10 a.m.-5 p.m., First Parish Church Congregational, 40 Main St., Freeport. For more information, email Patty at FirstParishMarket@gmail.com or call 865-6022. Bean supper, Saturday, April 9, 5-6 p.m., First Parish Church Congregational, 40 Main St., Freeport. All-you-can-eat menu includes three kinds homemade beans, macaroni and cheese, American chop suey, hot dogs, rolls, cole slaw, pickles, rolls, homemade pies, beverages, more. $9, $4 for children. Proceeds benefit church outreach and new shingles for the church roof. Third Friday Free Lunch, April 15, noon-1 p.m., Freeport Community Center. Barbecue chicken dinner, Saturday, April 16, 4:30-6 p.m., Durham Congratulation Church, 173 Royalsborough Road. Wood-smoked barbecue chicken, potato and green salads, homemade desserts. $9, $3 for children 6 to 12, free for children 5 and under. Durham Community Lunch, Tuesday, April 19, noon, First Congregational Church of Durham, routes 9 and 136. Doors open at 11:30 a.m. $2-$4 donation. Proceeds fund future lunches. General schedule is the first and third Tuesday of the month. Those interested in helping or have questions can call Julie Wagoner, 353-9715. Freeport Elders Association Pancake Breakfast, first Saturday of each month, 8-10 a.m., Freeport Community Center, 53 Depot St. Breakfast includes pancakes, sausages, coffee or tea, juice, $3.50 for adults, $3 for seniors, $2 for children 12 and under. Deluxe breakfast is scrambled eggs, pancakes, sausages, biscuit, coffee or tea, juice, $4.50, $4 for seniors. 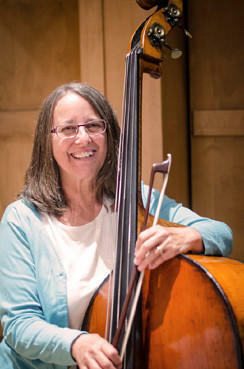 Musician and bow maker Lynn Hannings speaks to members and guests of the Freeport Woman’s Club, Friday, April 15, at 1:45 p.m., at the Freeport Community Library.